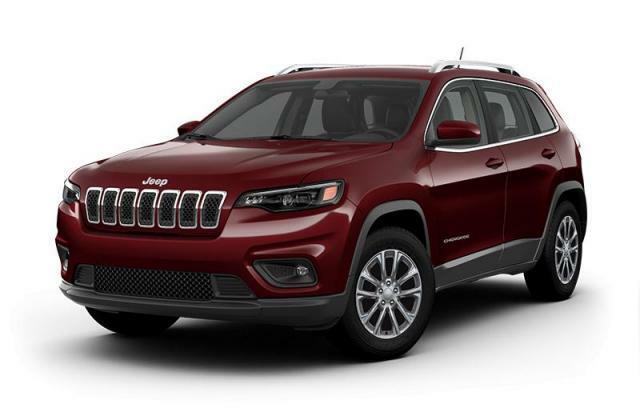 2019 Jeep New Cherokee SUV Digital Showroom | Rainbow Chrysler Dodge Jeep Ltd. Structure My Deal tools are complete — you're ready to visit Rainbow Chrysler Dodge Jeep Ltd.! Thank you for making Rainbow Chrysler Dodge Jeep Ltd. your automotive destination! Friendly service, quality product and competitive prices, all under one roof at the largest automotive dealership in Prince Rupert! 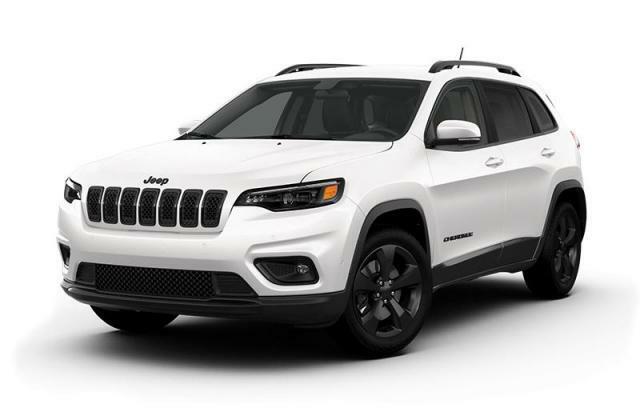 We carry all the newest Chrysler , Dodge , Jeep and RAM models, including the sleek new Chrysler 200, the rugged RAM Truck and the exciting 70th Anniversary Edition Jeep line. Our large selection is guaranteed to offer the perfect match for any lifestyle. Come meet with any of our expert sales team and they will help introduce you to a vehicle that will not only meet your needs but exceed all your expectations. If it's a pre-owned vehicle that you are looking for, we've got you covered! We are proud to offer you the largest selection of quality pre-owned vehicles in Prince Rupert! If you happen to be looking for something and don't see it on our lot or our website, no worries...we'll find it for you! Need financing for your new investment? No problem! Our finance department has many resources available to help secure a loan for your purchase. Our team is dedicated to finding you the most affordable financing at the best possible rates. Our finance and insurance staff have a variety of products available to help you protect your investment also. From extended warranties and service contracts to insurance coverages , we have the tools available to offer you peace of mind. We are also excited to be able to offer tire and wheel coverage with our Nitrogen program . This is a great way to be environmentally responsible while getting the most from your ride. The money you'll save on fuel economy is just a bonus! Add in our Price Match Guarantee and Rainbow Chrysler will be your ideal solution. We look forward to serving you soon! *$499 administration fee and applicable taxes are additional. Prices in Ontario, Alberta and British Columbia represent the Manufacturer's Suggested Retail Price ("MSRP") minus current incentives and include air conditioning charge, freight ($1,400-$1,595), OMVIC/AMVIC fee, tire levy (where applicable), dealer-installed options, accessories, pre-delivery, administration charges and other retailer charges and exclude taxes, license, insurance and other applicable fees. Prices in Quebec represent the Manufacturer's Suggested Retail Price minus current incentives and include freight ($1,400-$1,595). Prices in Quebec exclude only license, insurance, duties on new tires ($15) and taxes which will be required at time of purchase and may not include dealer-installed options and accessories. In the rest of Canada, Prices represent the MSRP minus current incentives and exclude air conditioning charge, freight ($1,400-$1,595), taxes, license, insurance and other applicable fees and may not include dealer-installed options, accessories, pre-delivery, administration charges and other retailer charges. Incentive discounts may include Consumer Cash discounts, which are applied before taxes, and/or Bonus Cash discounts, which are applied after taxes. Please see your retailer or visit Build and Price for further pricing information. Incentives may vary from time to time and may vary considerably by model, trim and engine option selected. All prices are in Canadian dollars (unless otherwise indicated). Although the intention is to capture current incentives and prices as of the date of publication, pricing is subject to change without notice, and may not be accurate or completely current. While every reasonable effort is made to ensure the accuracy of this data, we are not responsible for any errors or omissions contained on these pages. Please verify any information in question with a dealership sales representative. Information provided at this site does not constitute an offer or guarantee of available prices or financing. The estimated selling price that appears after calculating dealer offers is for informational purposes only. You may not qualify for the offers, incentives, discounts, or financing. Offers, incentives, discounts, or financing are subject to expiration and other restrictions. Contact your Chrysler, Jeep®, Dodge, Ram or FIAT® Retailer to see if you qualify and for complete details of current offers. Offers may vary by province. All product illustrations, prices and specifications are based upon current information at the time of programming. Although descriptions are believed correct, complete accuracy cannot be guaranteed. We reserve the right to make changes at any time, without notice or obligation, in the information contained on this site including and without limitation to prices, incentive programs, specifications, equipment, colours, materials, and to change or discontinue models. Images, pricing and options shown are examples, only, and may not reflect exact vehicle colour, trim, options, pricing or other specifications. Images shown may not necessarily represent identical vehicles in transit to the dealership. See dealer for actual price, payments and complete details. Rainbow Chrysler Dodge Jeep Ltd.